Lucy Greaves is a highly experienced professional event organiser and charity fundraiser. Lucy completed a charity course before being employed by the National Society for the Prevention of Cruelty to Children (NSPCC) to work on a number of prestigious events including the Chelsea Flower Show Gala Preview evening and the Berkeley Dress Show. Due to the phenomenal success of her fundraising for the NSPCC Lucy was honoured to be presented to Her Royal Highness Princess Margaret. This success led to Lucy being sought after by a number of charities, including WellChild, formerly known as Children Nationwide, for whom she has raised more money than any other fundraiser. For twenty years Lucy has organised a variety of events including balls, challenges and golf days, as well as her unique Christmas fairs in the Cotswolds. Originally featuring just a few stalls, these bazaars are now held in huge marquees attracting over a thousand people, whose spend is well above average, and a waiting list of retailers wanting to sell at these profitable events. The BBC heard about the overwhelming success of Lucy Greaves’ bazaar events and made a documentary titled Women in the Country. The demand for Lucy Greaves’ bazaars grew to such an extent that she has expanded into London. 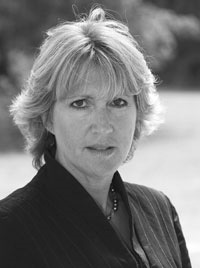 As well as organising Bazaar Events in the city for leading companies such as Freshfields Bruckhaus Deringer, Linklaters, Prudential and Lehman Brothers, she has developed the unique concept of holding Bazaar Events in major developing retail areas such as Duke of York Square and Paternoster Square.